Summer is heating up, and as temperatures soar, grilling reaches its annual high. While plenty of die-hard grilling fans fire up the BBQ even in the middle of winter, grilling remains primarily a warm-weather tradition. In these lazy, hazy summer months, online searches for grilling recipes peak right along with the mercury. In this spotlight on grill season, we share some fun facts and interesting tidbits about this delicious time of year, as well as some tips on achieving grilling perfection. And because we know you’re dying to grill us for seasoning ideas (see what we did there? ), we’ll share a couple of those with you as well! Even though this is most certainly grilling season and the time when the most new grilling recipes seem to flood the internet, 63% of the U.S. population grills monthly, with 33% cooking over the BBQ even in below-freezing temps. Folks seem to prefer the convenience of gas grills over charcoal, and the most popular grilling fare is—you guessed it, meat! 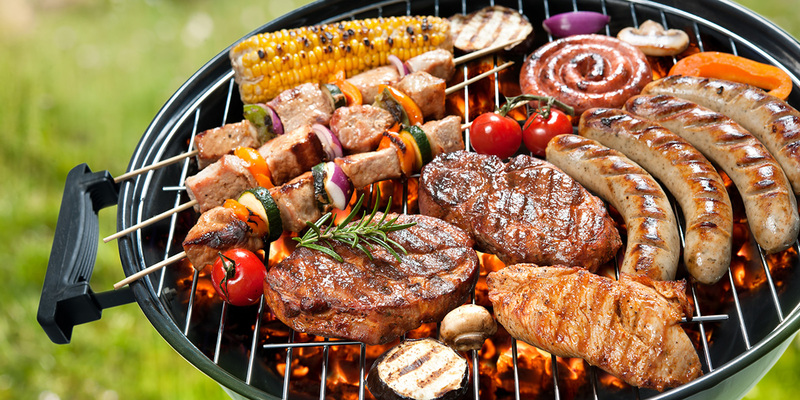 Most often grilled are burgers, followed by steak, hot dogs, and chicken. And grilling isn’t just for homebodies—the convenience of grilling makes this food-prep method a perfect way to serve up grub for a crowd during camping trips, days at the park and beach, and tailgating parties! The 4th of July is the single-biggest grilling holiday of the year, with 86% of grill owners firing them up to celebrate America’s birthday. And nearly half of all grill owners cook outdoors one to two times per week during the warm-weather months that make up grilling season. Want to get in on the grilling action this summer? We have some grilling tips to help make this outdoor cooking season your best—and tastiest—one yet! Better burgers: to keep your burgers from puffing up into meatballs, push your thumb down in the middle of each raw patty before cooking to make a little indentation. This keeps your burgers nice and flat and easy to top and eat—AND it eliminates the need for you to push down on the patties with the back of your spatula (which releases all those flavorful juices!). Kick up your kabobs: be sure to soak wooden skewers in water prior to threading on your meats and veggies—this prevents the wood from burning while grilling. Also, keep your meat pieces threaded close together on each skewer to help them retain moisture. And coat veggies in olive oil prior to cooking to keep them from sticking to the grate. Easy does it: they might be called “rubs,” but you want to be gentle when adding these grilling seasonings to your meat. An Overly vigorous application can damage the meat fibers and affect texture and flavor. And the same rule applies to marinades—soaking foods for too long can make them too mushy or too tough. In general, most grilled foods should be marinated for 30 minutes to no more than two hours. Prep and forget (sort of): Pat marinated steaks dry before putting them on the grill to prevent them from steaming rather than searing. Then let them cook, and resist the urge to open the grill over and over (releasing heat) and flipping them repeatedly (releasing juices). When you’re done cooking , let meat rest before slicing into it, or all those juices you worked so hard to retain will run out all over the cutting board. Grilling isn’t just for meat-lovers! You can prep entire meals on the BBQ, from fish to veggies to pizza to desserts. You can even grill fruit—here’s an easy grilled pineapple recipe to try. You can use try our flavorful chile-lime seasoning, Citron Rouge, on fish or veggies, or our bold and spicy Bloody Mary seasoning on grilled potatoes. Craving the flavors of Italy? Brush melted butter and garlic on a baguette, add some Tuscan Verde seasoning, and gently toast on the grill. Looking for a delicious steak grilling recipe? Try skirt steak with our Colonial Tavern seasoning. What’s your favorite grilling recipe? Share one that incorporates one of our spices or rubs for a chance to win a fabulous package of our products! 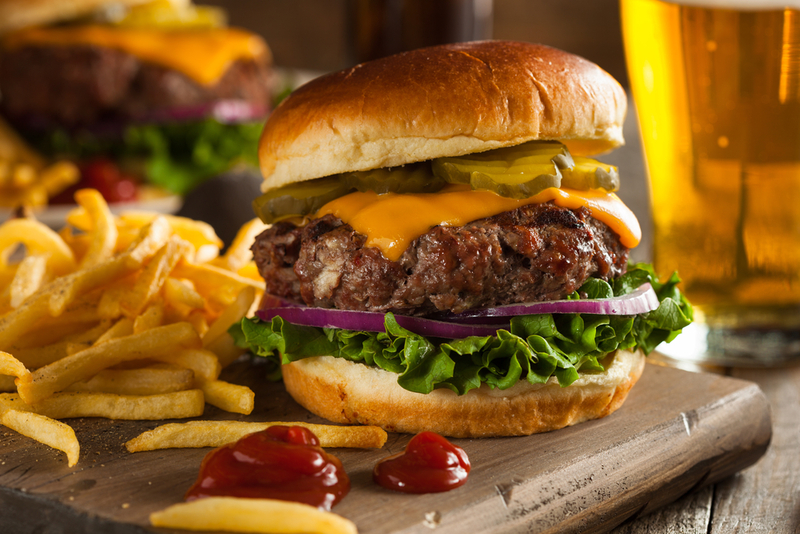 Did you know that if you cook the burger low and slow it will lose very little moisture, and warm evenly from top to bottom? After cooking move it to high heat to provide a good searing, where you only need to bring the meat from 120°F to 300°F. In this manner, the searing happens faster, with less moisture loss, less heat transmission to the center, and a much better burger.